Expert information, analysis and guidance on every aspect of contract litigation in California. Now you can more quickly and confidently navigate the ins-and-outs of California contract law and contract litigation with Matthew Bender Practice Guide: California Contract Litigation, a powerful dual media research solution that offers expert guidance on the full range of legal and practice issues that are likely to arise in California cases arising out of contracts. The task-based format guides you through all potential claims, defenses, and other issues that might arise in an action arising out of a contract. 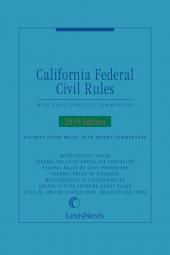 Insights from California experts are reflected throughout, with strategic points, warnings, traps, and other types of practice tips targeting issues of particular interest. 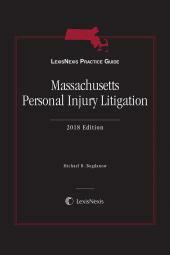 Other features include checklists, elements of causes of action, examples of recent cases applying the principles being discussed, extensive cross-references to relevant CACI and Matthew Bender jury instructions and forms for complaints, answers, and points and authorities illustrating these causes of action. 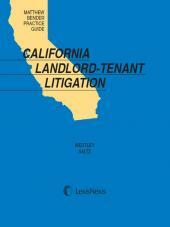 What's more, this Practice Guide is fully integrated with the LexisNexis Total Research System to provide easy access to relevant online resources, including public records, Matthew Bender Practice Guide series for California, Matthew Bender analytical materials, California and national news sources, and more. Matthew Bender Practice Guide: California Contract Litigation is a peerless one-stop source of expert guidance and support covering California contract actions. The Hon. Jon S. Tigar was appointed to the Alameda County Superior Court by Governor Davis in December 2001. Prior to assuming the bench, Judge Tigar was a partner in the law firm of Keker & Van Nest, where he specialized in complex commercial litigation. He was also Co-Chair of that firm's Pro Bono Committee, and in 2001 he received the Wiley M. Manuel Award for Pro Bono Legal Services from the State Bar of California. He has also served as a trial lawyer in the San Francisco Public Defender's Office, and as a litigator in the San Francisco office of Morrison & Foerster. He clerked for the late Honorable Robert S. Vance of the Eleventh Circuit Court of Appeals in Birmingham, Alabama. Judge Tigar graduated from the Boalt Hall School of Law, where he was a member of Order of the Coif and an Articles Editor of the California Law Review. He also has a Bachelor's Degree in English and Economics from Williams College. Judge Tigar is active in several community and professional organizations, including the American Bar Association and the Center for Judicial Education and Research. In 2003, he was elected to the American Law Institute. He has lectured frequently both as a lawyer and as a judge, on topics including the basics of trial practice, pre-trial discovery, evidence, ethics, internal investigations, family law, and the California False Claims Act. Judge Tigar currently sits as a Civil Trial Judge. Charles Crompton is a Litigation Partner in Latham & Watkins' San Francisco Office and a member of the firm's Intellectual Property and Technology Practice Group, as well as the firm's Antitrust and Competition Group. Mr. Crompton has handled intellectual property cases involving patent, trademark, copyright claims. He has also handled a number of antitrust cases. In fact, many of Mr. Crompton's most challenging and noteworthy cases involve the balance¿or the conflict, some would say¿between intellectual property rights on the one hand and the limits that the antitrust laws place on the assertion of those rights on the other. In 2004, Mr. Crompton was on the trial team that represented Oracle Corporation in its victory over the U.S. Department of Justice's antitrust challenge to Oracle's acquisition of PeopleSoft. Outside the courtroom, Mr. Crompton speaks and writes about his areas of experience. From 1999¿2000, he was the Chair of the Antitrust and Unfair Competition Law Section of the California State Bar. He has lectured on trademark law for the Practicing Law Institute, computer law for Law Seminars International, antitrust law for the State Bar of California, and patent law for the University of California at Berkeley's Boalt Hall. In addition, Mr. Crompton has received state and local awards for his pro bono work on behalf of indigent individuals and non?profit institutions.